Good evening all, I hope this email finds everyone well and on the count down to Sunday’s race ? 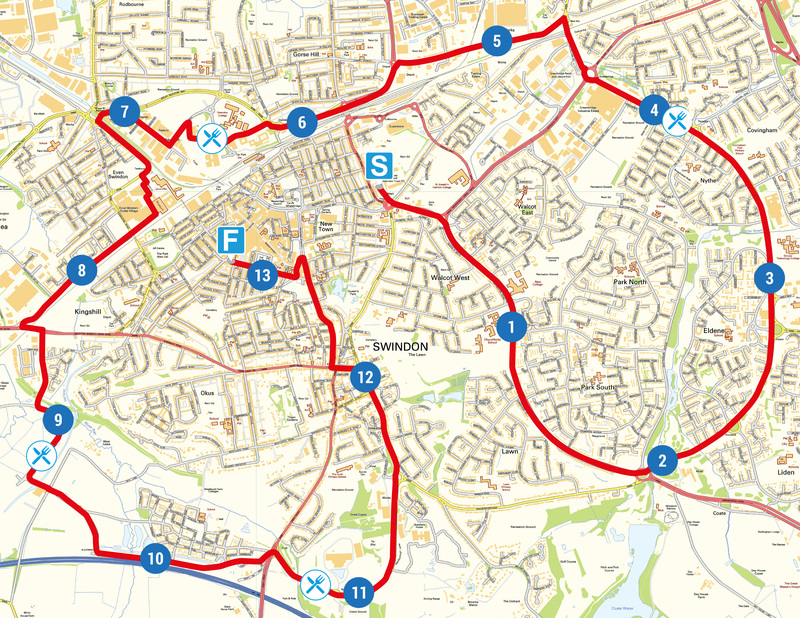 In this second and final instalment of the pre-race emails, I’ll cover the following :Detailed Course map Pre race start area Buggy Pusher rules Results and tracking Aid Stations Eating after the raceDetailed Course Map For those of you that have not already found it, you can see a detailed street by street course map here : https://www.newswindonhalf.co.uk/wp-content/uploads/2018/09/SHM18_JPGVERS-1.jpgIf you have supporters, a fan club or just general spectators that want to know where the runners will be and when, as follows is a map that shows when we’re expecting the first and last runner through any given point on the course : https://www.newswindonhalf.co.uk/wp-content/uploads/2018/07/road-closures-1.jpegPre race start area When you arrive at the Country Ground start location on Sunday morning, you will see the two main things : Bag drop Lorries Start Chute The bag drop lorries are kindly Supplied by Hacklings Transport (http://www.hacklings.co.uk) for the race and these trucks will take your bags (should you have any) from the start area to the finish area. On the bottom of your race bibs, you will see there’s a baggage table. Just affix that to your bag, drop it off to the lorries, and they will have it waiting for you at the finish line on the same trailers. The start chute is one long chute and is self seeded (ie you’re not fixed in a pen dependant on your expected finish time you listed when you entered). We will have rough guides on posts that show approximately when you are expecting to finish, but you are not bound by these and can self seed yourself where you feel is appropriate. If you are, perhaps, a 3hour runner, then I would suggest you don’t line up on the front row as in the interest of safety, you don’t want 1500 faster guys tripping over you in the first 200meters, but largely you are free to start where you like We have a number of Pacers from Xempo pacing, who will be in the chute with large flags showing their expected finish time. 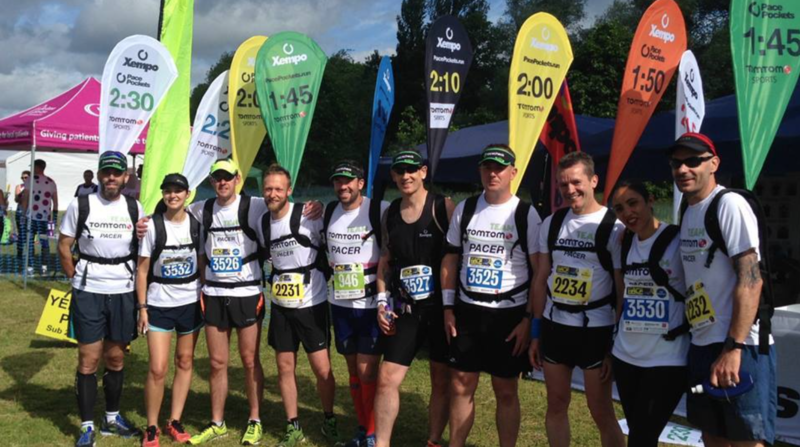 Your Xempo pacing team are as follows : Gerry Barrett -1h30 Tom Rann -1h30 Martin Bridgeman – 1h40 Chris Carter – 1h40 James Porter – 1h45 Stuart Squire – 1h45 Mike Rowland – 1h50 Jonni Suckling – 1h50 Alastair Simpson – 2h00 Richard Sullivan – 2h00 Mike Ransom – 2h10 Louise Baldwin – 2h10 Hannah Rees – 2h15 Rebecca Walker – 2h15 Dan Comisky – 2h20 Matt Brown – 2h30I’m afraid that for this year we cannot have a pre race warm up routine and dance as due to the early nature of the start for 2018, we are not allowed to play music in an area close to houses 🙁Buggy Pusher rules Many people like to run with a buggy and we have no issue with you doing so, but in the interest of safety, we must ask that if you are pushing buggy, wheelchair or pushchair that you are attached to the buggy, wheelchair or pushchair with a lanyard or belt that is permanently attached to your wrist or waist (ie. you’re not just holding it) This lanyard or strap must be capable of holding the weight of the buggy and it’s occupants and must be securely attached. 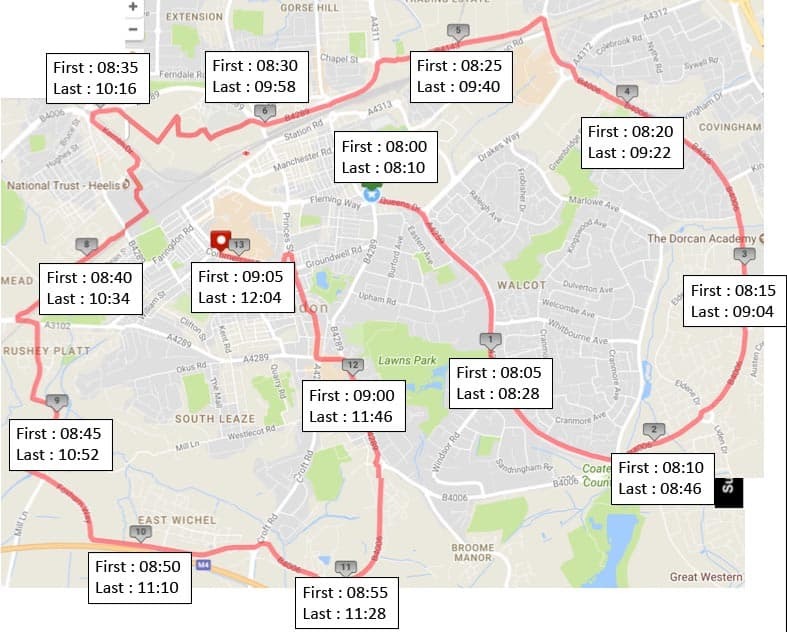 The reason we have this rule is that the finish mile of the course is downhill, and we really do not want runners pushing buggies etc getting tired and accidentally letting go so it could roll away in an uncontrolled or dangerous manner. We will make checks on this at the start line, and if you do not have a secure attachment, you will not be allowed to start. 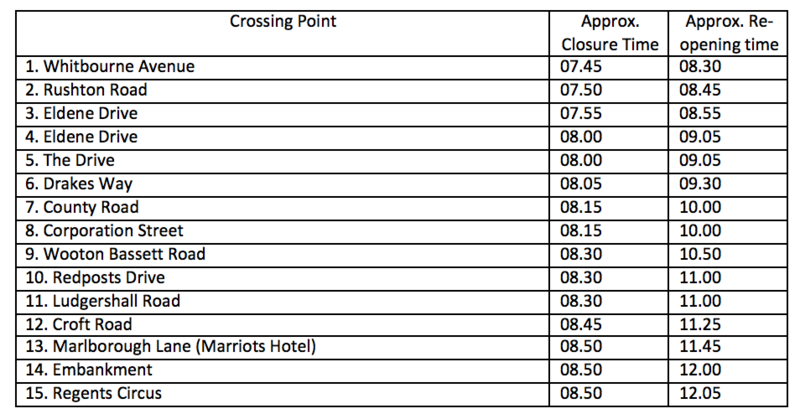 Sorry to be hard on this, but in the interest of safety, we much ensure this rule is followed.Results and tracking We will have a live result service online for your type of supporters that are supportive enough to want to know you’ve finished, but perhaps can’t be bothered to get out of bed and come and see you over the line 🙂 They will be able to find the live results through a link here : https://www.newswindonhalf.co.uk/take-part/results/Aid stations We will have 4 aid stations on the course: 3.8 miles Dorcan Way 6.5miles Oasis Leisure Centre 9.1 Miles Whichelstow 11 Miles Nationwide Mile 3.8 will have bottled water, and all the others will have bottled water, High5 Energy Gels, Jelly Babies and Toilets I appreciate Energy gels are quite new to all runners, and I would suggest that if you’ve not trained with them, that you take them in moderation. They are a great form of instant hit energy, but being realistic, unless you have put the time in to get your body used to them, they can often result in a fairly urgent trip to the toilet if not used in moderation. I’m not trying to put you off them, but I just wanted to warn you all incase you’ve not used them before and maybe have a less than iron stomach when running. We would really like the reputation of this race to be strong if we’re to go on for year’s to come, having 100’s of runners going to the toilet in the people of Swindon’s front gardens is not going to go down well.Eating after the race Most of you will be finishing in the town centre around early to mid morning, and also will have not eaten for some hours since you crammed in a breakfast. The good people of Broccoli, Pizza and Pasta, who are based upstairs in the new food hall in the Brunel Plaza have reached into their pockets and helped fund the race for you all. 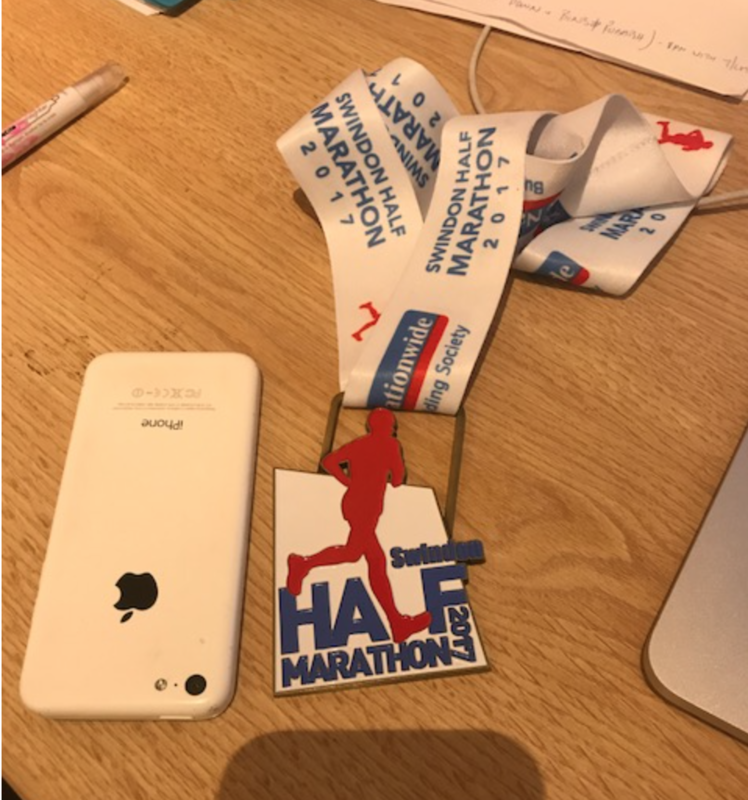 They are the only town centre food outlet that have contributed financially to the race to help make it possible for you all, and are into running themselves. 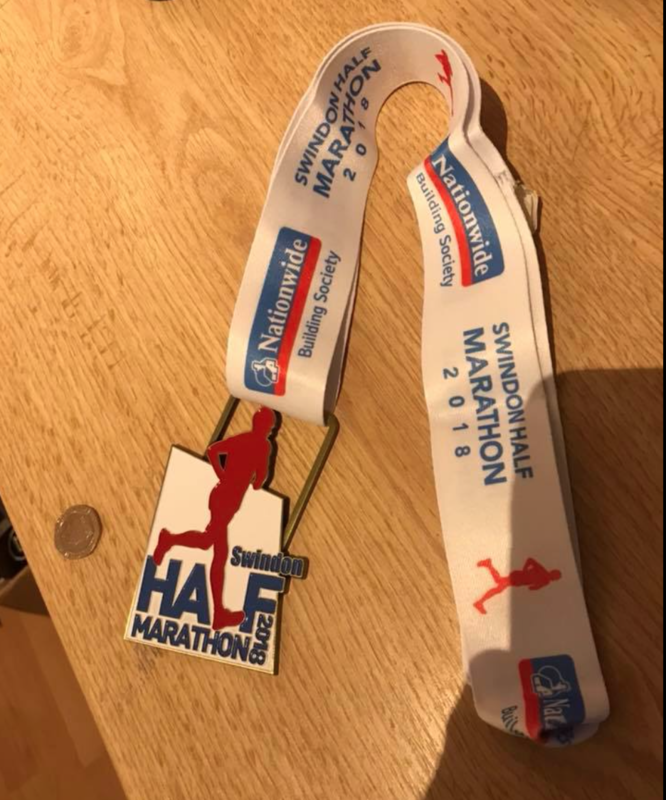 Please bear that in mind when making your post race food choices, and they will offer you a 25% discount on food orders over £10 on presentation of your medal too, which is a Win-Win for you as runners. Please check out their page and give them a like. 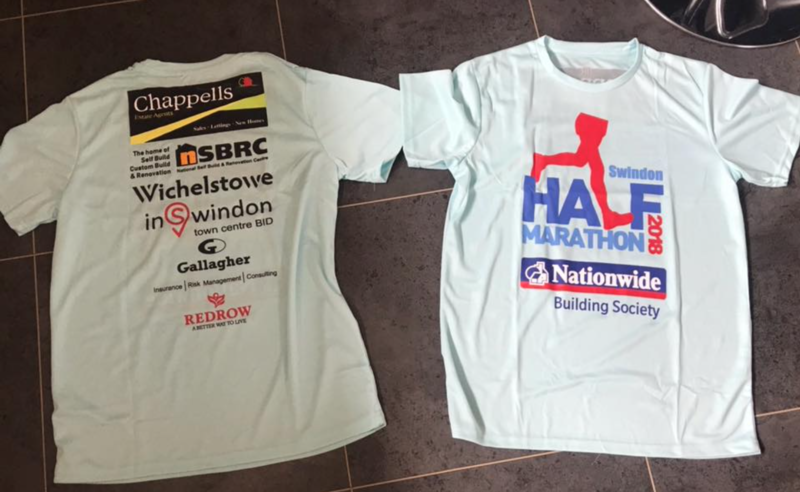 Is this the end for the Swindon Half Marathon ? 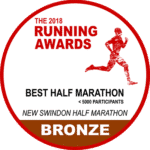 Is this the end of the New Swindon Half ? 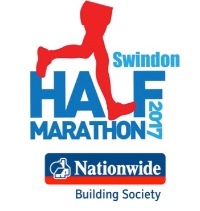 Good afternoon all, I hope everyone’s feeling ready for The Nationwide Building Society New Swindon Half on Sept 3rd ? Now we’re 10 days away from the race, I wanted to drop you all out an email to go through a few points about the race that will hopefully get you all ready for it. I’ll apologise that I can ramble on a bit in my mails, so please grab yourself a seat and a strong coffee before reading on as there’s some important stuff in here, so worth taking the time to read The medals turned up on my desk today (well, not actually on my desk as there’s 2,800 of them), and they’re looking very smart indeed. 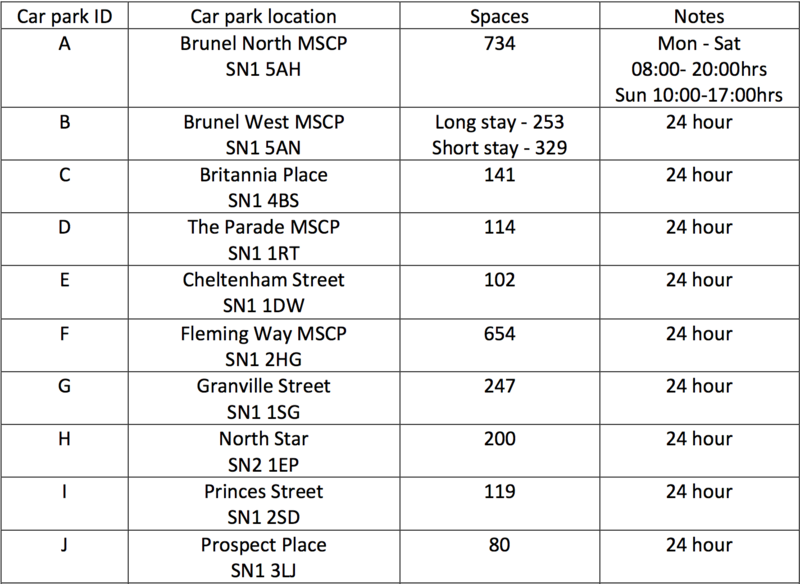 In this email, I’ll cover the following :Some Stats on the race Race Packs Planning your day Pacers Buggy/wheelchair Pusher Rules and regulations Have some marshal, and get a free entry to next year’s race On the day entries Live tracker/Results Race progressRace stats We’ve got 2,610 competitors signed up for the day now. It’s a decent mix of males and females with the men accounting for 59% and the ladies 41%. 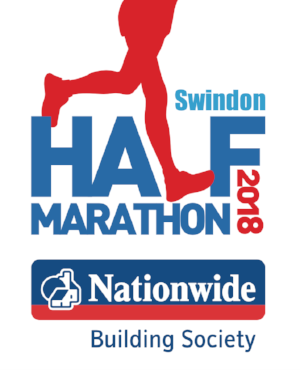 The Average age of our competitor is 38, and our eldest man, who is well known to many of you already in the Swindon Running scene is 80 years old, and our eldest lady is 74.